If longevity is any measure of success for a construction material, then mastic asphalt is surely a winner, as it can boast a history dating back to Old Testament times. The material has managed to maintain its place as the waterproofing material of choice throughout the intervening years. With a reputation as a traditional material, it is hardly surprising to find that Buckingham Palace, the Houses of Parliament and the Bank of England all have mastic asphalt roofs that have lasted for more than 100 years. Authentic materials for the conservation of these buildings and structures must not only retain the character, but also prove long-lasting and highly effective. Mastic asphalt, whilst a traditional waterproofing material that was first patented in 1837, offers durability and wear resistance far beyond modern alternatives which is why it is so frequently specified for refurbishment projects by the National Trust and English Heritage, as well as other public and private owners of prestigious buildings. Testament to the longevity of mastic asphalt is Britain’s most famous home, Buckingham Palace which features mastic asphalt on its rooftops. Mastic asphalt has kept the Royal household dry for over a century. A stone’s throw away on the Thames, the Houses of Parliament’s complex and elegant roofs have also been waterproofed with mastic asphalt. Perhaps the most renowned application is at St. Paul’s Cathedral which dates back to 1673 and was the tallest building in London for over 200 years. Mastic asphalt was first laid in 1906 on the Stone Gallery that circles the Cathedral dome and it provided a remarkable 111 years’ weatherproof protection before it required refurbishment last year. Mastic Asphalt Council (MAC) member Sussex Asphalte secured the contract to replace the asphalt around the Cathedral dome and the project was deemed so successful that it won the accolade of Project of the Year at the MAC Awards Ceremony for 2018. Earlier in the year, Sussex Asphalte and IKO PLC celebrated another award for the application at St Paul’s Cathedral as it was selected as the Best Mastic Asphalt Project at the NFRC (National Federation of Roofing Contractors) Annual Awards. 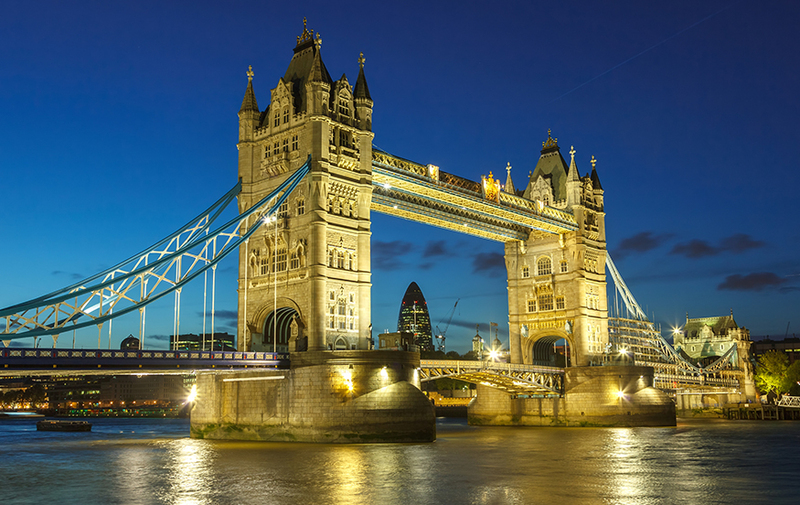 Mastic asphalt has also been used on the iconic 125-year old Tower Bridge, the Grade I listed river gateway into London. The bridge had previously been protected with mastic asphalt and it had performed so well that it was decided to specify it again. One of the biggest challenges was to strip back the existing mastic asphalt and replace it whilst minimizing disruption to pedestrians and river traffic. With the refurbishment carried out while the bridge was still open to pedestrians and ships, there were many restrictions with plant and machinery due to weight limits. A total of 800 tonnes of material had to be broken out and reinstated, all with limited access whilst at the same time ensuring millions of pounds worth of bridge lifting machinery was kept dry and safe. What makes mastic asphalt so appealing for heritage projects, from local restorations to maintaining internationally renowned building, is its suitability, performance and appearance, which is in keeping with the stonework of these prestigious structures. More faithful to tradition than virtually any other roofing system, modern polymer modified mastic asphalt proves a far more effective waterproofing material. Though its life expectancy has been estimated at 50-60 years by the Building Research Establishment (BRE), many MAC contractors report that they are replacing asphalt roofs laid 80 to over 100 years ago.In terms of quality of workmanship, mastic asphalt is one of the few construction activities still regarded as a ‘craft trade’. The skilled work involves ensuring that asphalt is at the correct temperature, and then spreading it using traditional techniques to coat the surface. A thermoplastic material that changes shape when heated, mastic asphalt cures to form a hard, durable, finished product to suit all applications of mastic asphalt. To maintain the industry’s reputation and ensure high quality applications for every single project, only trained applicators are permitted to install mastic asphalt under the Mastic Asphalt Council’s strict rules.Being a MAC member enhances the reputation of a contractor and gives a badge of quality and assurance that they meet very highest of standards with regards to factors such as trading and credit history, insurance policies and quality of workmanship. Although mastic asphalt is renowned for use on heritage buildings, it is equally likely to be found on modern buildings, especially town centre and large shopping centre developments built using traditional construction methods. Both Bluewater in Kent and Birmingham’s Bullring have mastic asphalt roofs. This article featured in the March issue of RCi magazine – click here to view the publication online.